HISEER, the brand name itself means high seasonal energy efficiency ratio. 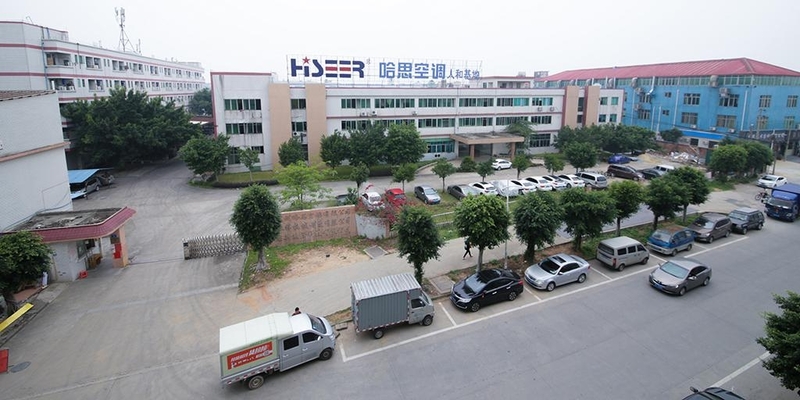 Guangzhou Hiseer Air Conditioning Co.,Ltd. was established in 1996 with 109 employees and workshops of 20,000 square meter. As influenced by the founder’s professional knowledge and experiences in the field of refrigeration, and benefits from years of close technical and engineering cooperation with world famous companies, such as Hitachi, Siemens, SWEP, Carel, Honeywell, Emerson, etc., Guangzhou HISEER company has been committing itself to working for technical renovation and development of inverter air source heat pump, inverter ground source heat pump in a bid to compete with the coming living crisis caused by the global warming and shortage of energy resources. HISEER heat pumps, such as inverter air source heat pump, inverter ground source heat pump and EVI inverter air to water heat pump are playing more and more important roles in changing the way of peoples’ living. Guangzhou HISEER is willing to consistently create more possible solutions and new technology for reducing carbon emissions and proving comfortable living environment. Guangzhou HISEER is looking for distributors to work together for developing long-term business cooperation.